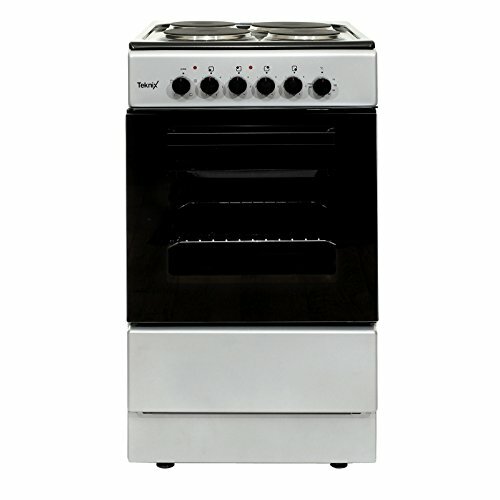 The TK50SES is stylish spacious functional and easy to use with a 55 litre conventional oven capacity including grill. This model has been A rated for its energy efficiency.The TK50SES includes 4 solid hotplate cooking zones (including 1 Red spot zone) with adjustable temperature rotary controls on the front fascia panel.The oven interior walls have been coated with wipe clean enamel liners for easy cleaning and include two adjustable wire shelves. All Teknix Cooking comes with a 2yr Parts And Labour Warranty.